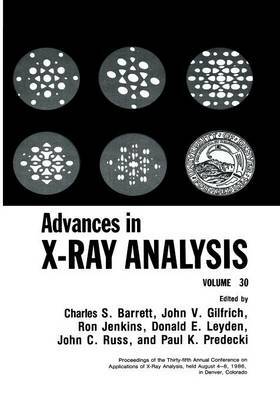 The 35th Annual Denver Conference on Applications of X-Ray Analysis was held August 4-8, 1986, on the campus of the University of Denver. Since the previous year's conference had emphasized x-ray diffraction, this year the Plenary Session spotlighted x-ray fluorescence, with the title "Trends in XRF: A World Perspective," featuring renowned speakers from three major areas. XRF IN NORTH AMERICA, by Prof. D. E. Leydon, from Colorado State University, dealt specifically with developments in the fields of instrumentation, data treatment and applications in that part of the world. Prof. H. Ebel, from the Technical University of Vienna, discussed XRF IN EUROPE, concentrating on subjects including total reflection, improved fundamental parameters, quantitation without standards and imaging techniques. Tomoya Arai, of the Rigaku Industrial Corporation in Japan, in considering XRF IN THE FAR EAST, described the scientific activity in XRF and the applications thereof, primarily in Japan and China. These plenary lectures were interspersed with short discussions of PERSONAL OBSERVATIONS on the subject by the co-chairmen of the SeSSion, Ron Jenkins and myself. The intent of this session was to bring the audience up-to-date on the status of the field in various parts of the world, and to give some feeling concerning where it is likely to go in the immediate future. Hopefully, the publication of the written versions of those presentations in this volume will make the authors' thoughts available to many who could not be present at the conference.